Many years ago, I noticed that my bosses kept asking to me explain what I was doing. I felt like they didn’t trust that I could get the job done. Everything was under control, and I was frustrated that they didn’t trust in my proven track record. 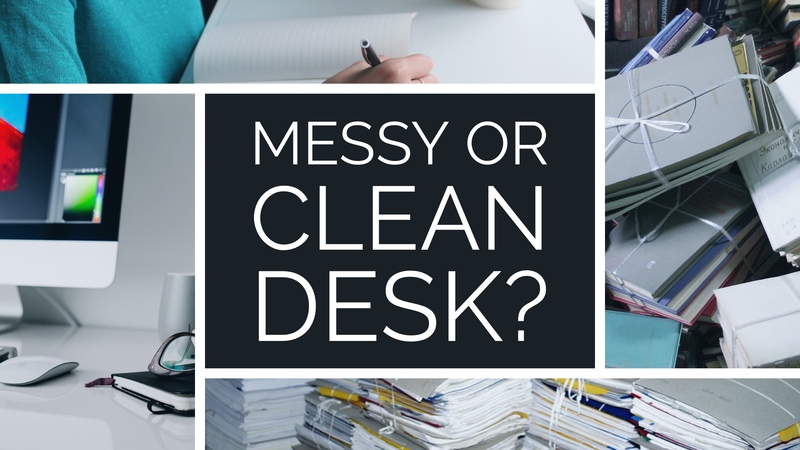 Then I came across an article about messy desks and clean desks. The article said that two types of people existed in the work place: those with messy desks and those with clean desks. The messy desk people thought that those with clean desks didn’t have enough work to do. The clean desk crew thought that the messy desk people couldn’t handle their responsibilities. The article suggested that each person find out if their boss’ desk was messy or clean and then emulate their boss’ desk. I was a messy desk person. So I took a stroll around the office that day. Guess what I found? All of my bosses had spotlessly clean desks. I immediately went back to my office and cleaned my desk. It shined when I was done. I maintained the clean desk, and it wasn’t long before the issues with my bosses evaporated. Their trust in me was restored, and their perception of me changed. My desk looked just like theirs and it made me more capable in their eyes. What does your desk look like? How does it compare with your boss’ desk?